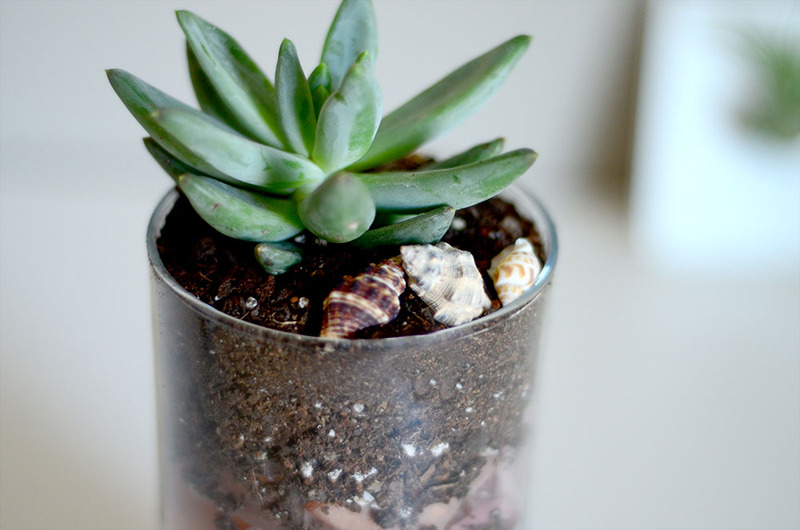 Check out these super easy ideas for terrariums! 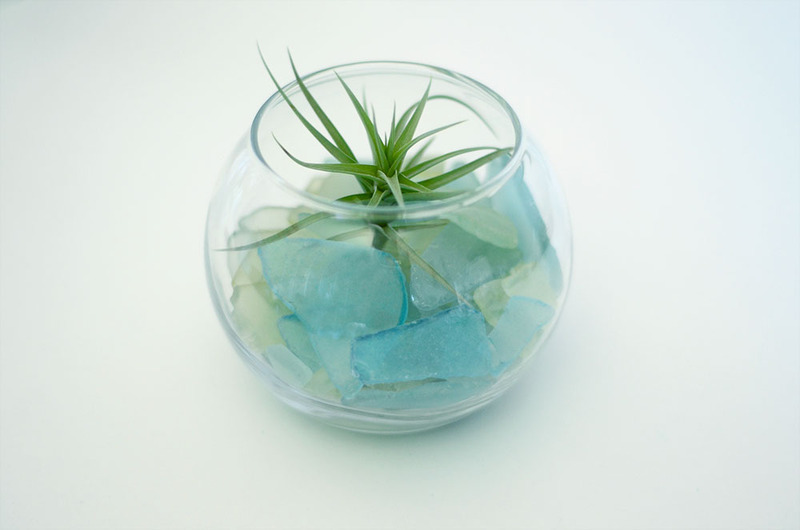 Sea glass and air plants make a drool worthy combination. 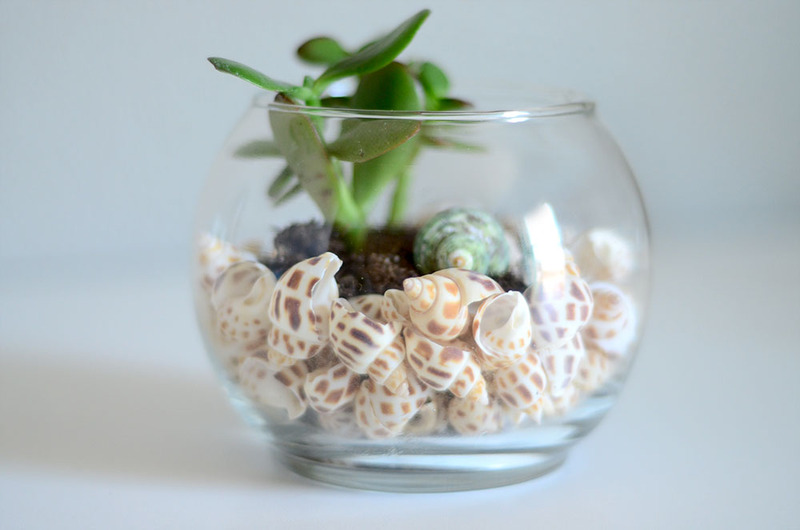 Here are some tips and inspiration on how to use sea glass, shells, rocks, succulents and air plants together in your home. 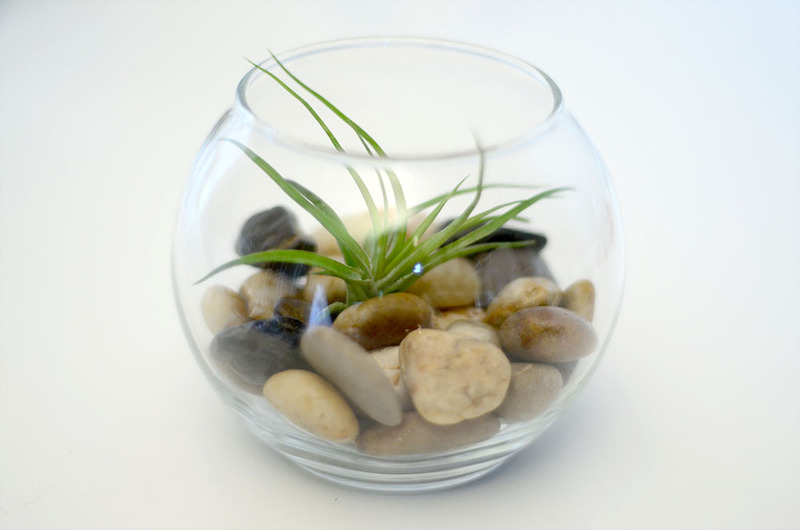 Here is the simplest way to use sea glass, river rocks and shells with air plants. 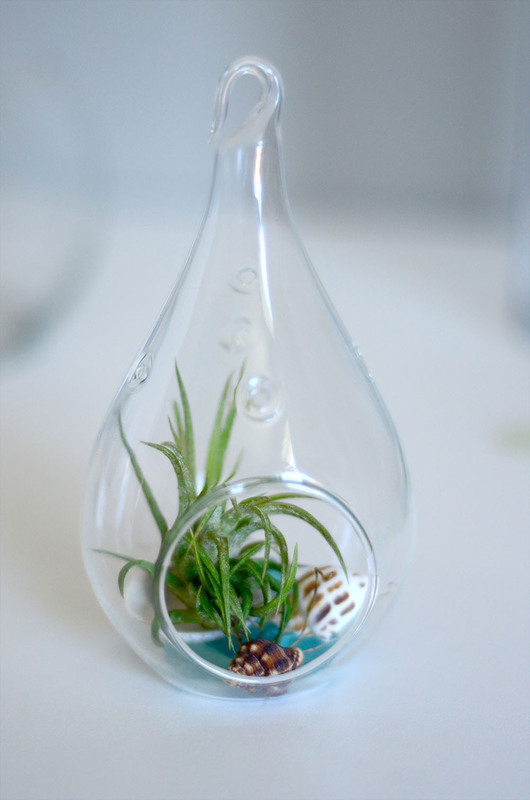 Pick a glass container, place a layer of sea glass (or whatever you choose) in the container and add your air plant(s)! It's that easy. Air plants are very low maintenance. The cool thing about them is they don't need soil! This makes them the perfect addition to your sea glass or shells. They only need air circulation, bright filtered light and water. Most air plants require a good soak in water once a week and time to dry out before being returned to its home. 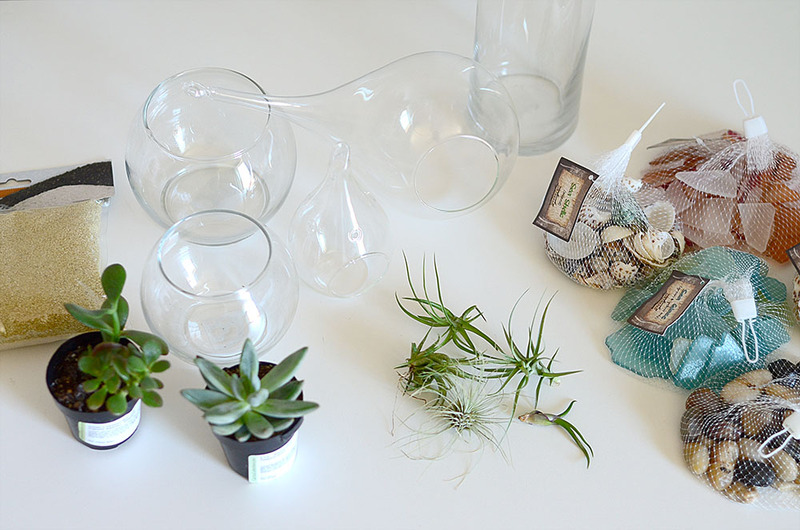 Make sure and check what kind of care your particular air plant needs. Have you seen these awesome hanging glass containers? They are a great way to display the fun sea glass, river rocks, and shells. In the first planter I placed a layer of sea glass on the bottom then placed the air plant on top with a few accent shells. Bright light really brings out the colors in sea glass and makes the plant pop. For the second, larger terrarium, I kept it simple with one bag of the River Rocks and an air plant. 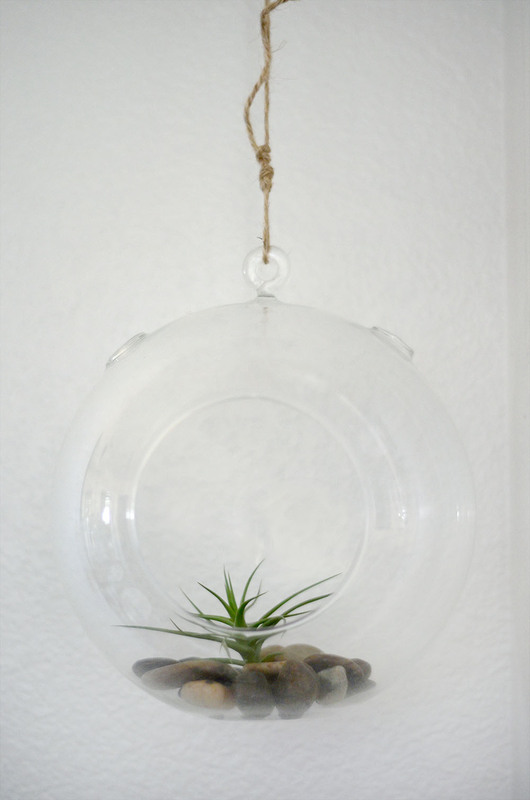 These hanging terrariums work better with air plants, as there isn't a lot of room for soil and good drainage that the succulents like. 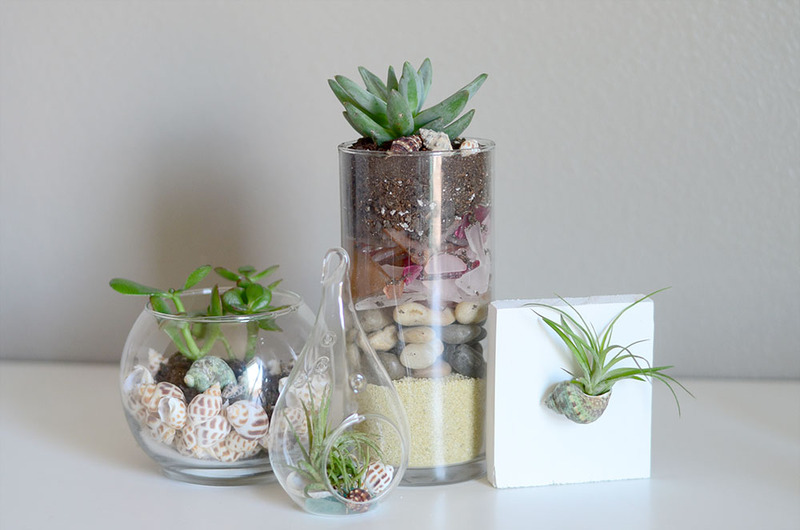 Although it is easier with air plants, I have seen it done with succulents! Make sure and hang it near a window but not in direct sunlight. Great in a sunny kitchen or bathroom with a window. 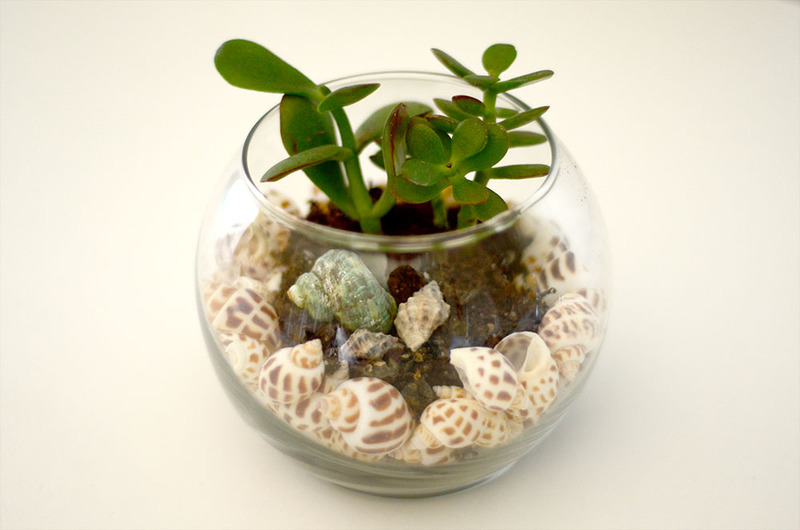 Succulents love good drainage, what better for drainage than beautiful river rocks, sea glass and shells? These look amazing layered in glass where they can show off their natural beauty. 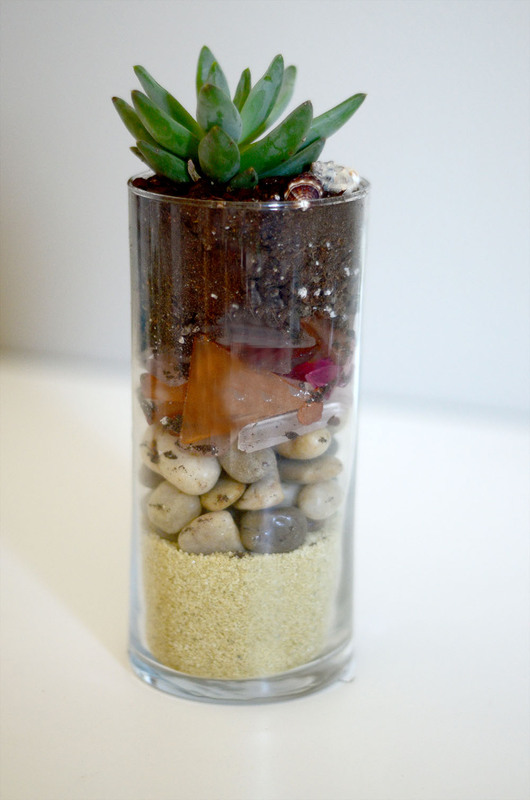 I used sea glass in the tall terrarium to help keep the dirt from falling down into the other layers. Arrange the bottom layer of sea glass as flat as possible. In the round terrarium I used one bag of shells in the bottom and made a crater in the middle for the soil. This made the dirt less noticeable and showed off more the of shells. 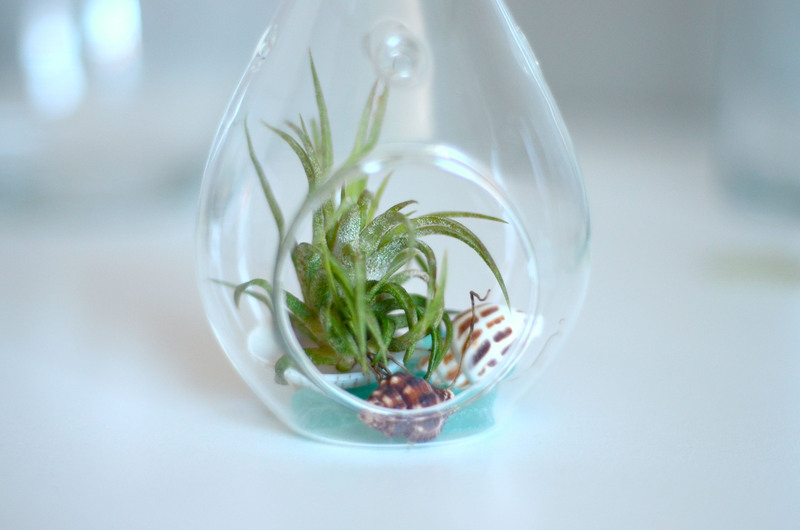 Top these terrariums off with a small shell detail. Don't forget to check your succulents for specific care instructions. Glue it? Yes glue it! So you can just attach an air plant to anything? Yeah! 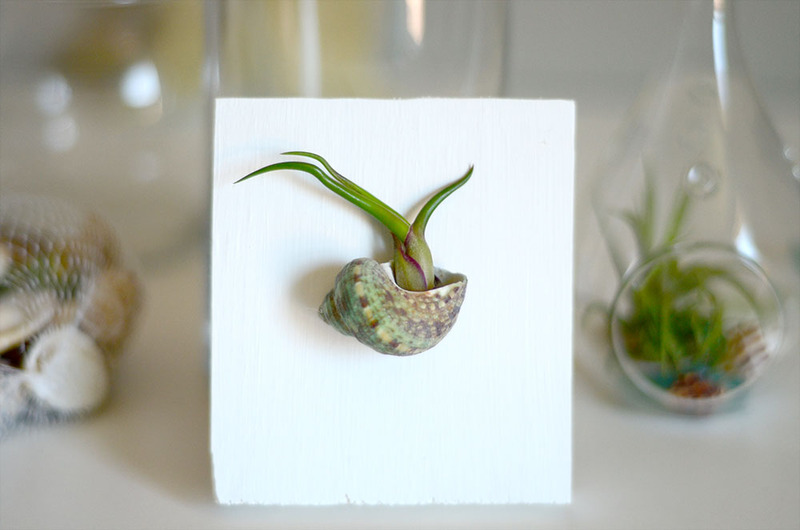 The shells are a great little holder for the air plant. Use a dab of E6000 or hot glue to attach the shell to a piece of wood, plaque, book or whatever you want (I used a scrap I had but craft stores have tons of great options)! Maybe a wall of sea shell held air plants? Let your creative juices flow! Let us know how you use your Gathered items!